BNM Montego Bay Has Moved! 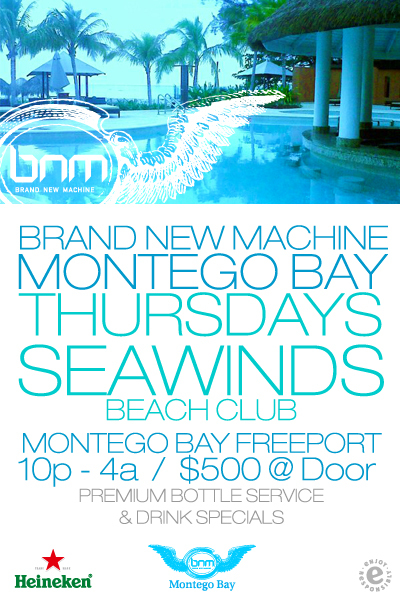 Brand New Machine Montego Bay hosted by Steve Urchin and Farenheit has moved from Blue Beat to Seawinds Beach Club, Freeport in Montego Bay. BNM features the best of Jamaican DJ’s, premium bottle service and drink specials, and an all round funky vibe! BNM Mo Bay is EVERY THURSDAY from 10pm-4am.